Max Morden, a middle-aged Irishman who, soon after his wife’s death, has gone back to the seaside town where he spent his summer holidays as a child—a retreat from the grief, anger, and numbness of his life without her. But it is also a return to the place where he met the Graces, the well-heeled vacationing family with whom he experienced the strange suddenness of both love and death for the first time. The relentless examination of the self amid ghastly or comically lively surroundings has long been a force in Banville's novels about divided, self-loathing men...Max can't be classed with them. He isn't worse than most men, as Banville's men usually are; his sins are common ones, though maybe not venial. 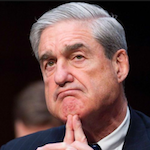 He pays close attention to everything but the most important things, and he grants himself slack that he feels is paid for by his bleak self-contempt, though of course it isn't. Without that near-psychotic division at work in Banville's other characters, the animated world in this book seems to have been built up for its own sake … Max recounts with impossible exactness the passing of that summer and his own sensations of remembering. As Michael Cunningham's The Hours was to Virginia Woolf's Mrs. Dalloway, so, roughly, is The Sea to [Henry James’] The Turn of the Screw. It is deconstruction and homage at once, an utterly contemporary novel that nonetheless could only have come from a mind steeped in the history of the novel and deeply reflective about what makes fiction still worthwhile … Max becomes a character in a story of his own making. No longer merely a narrator, he becomes a true author. He resumes control. He gets what he came for. The unsayable is said at last. The idea is to suspend us in a lyrical trance while we wait – and wait and wait – for the penny to drop. 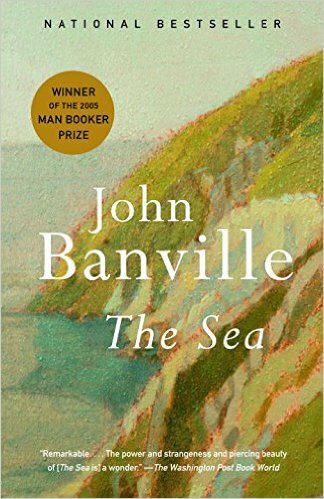 Banville can do this trick, and in the first half of The Sea he lays on the atmosphere as thickly as a smoke-and-mirrors illusionist. His descriptive passages are dense and almost numbingly gorgeous … What's strangest about The Sea is that the novel somehow becomes simpler and clearer as it gets more self-conscious: a consequence, I suppose, of its author dropping the pretense of being one kind of writer and giving in to his authentic and much more complicated creative nature. This misshapen but affecting novel turns out to be about something even more familiar than the loss of innocence: it's about grief, the misery and confusion the narrator feels on losing his wife. What did you think of The Sea?